I started this year with Hannie’s Christmas Quilt which I have titled “Home for the Holidays” quilt. I made a coordinating pillow and the full tutorial can be found on baby lock’s handmade gift guide along with other handmade gift ideas. 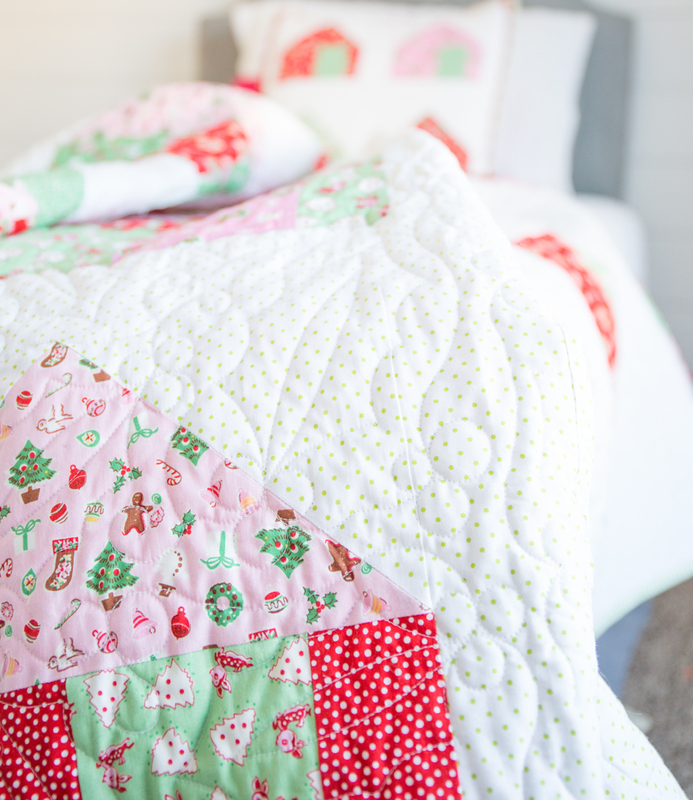 This Home for the Holidays Quilt Block Tutorial is a simple and easy quilt to do…so if you are looking for a fast sew, or for a beginning quilt project–this one is perfect for you! Step 3: Construct 4 flying geese blocks, by placing one 3 ½ by 3 ½ square on top of one 6 ½” by 3 ½” rectangle like the illustration below. Then draw a line from the bottom left corner to the top right corner at a 45 degree angle with a pencil. Stitch on the pencil line. Trim off the top left triangle and press open the first corner of the flying geese block. 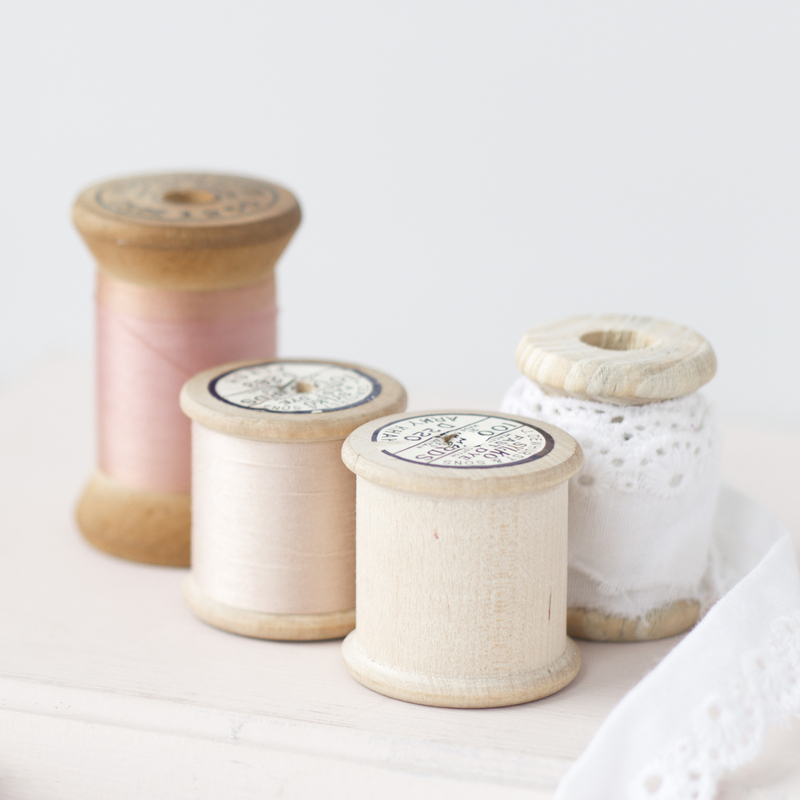 Place the second 3 ½” by 3 ½” square over the right hand side of the rectangle and stitching on the 45 degree angle. Trim off left corner and press the quilt block to have completed flying geese block. Trim block to 6“ by 3 ½ “ rectangle if needed. Row #2– 3 ½” by 3 ½” square, 2 ½” by 3 ½” contrasting fabric, 1 ½” by 3 ½” rectangle then stitch row #1 and row #2 together using a ¼” seam allowance. Step 5: Complete all four house blocks according to steps #1-#4. Step 6: Layout the quilt according to the rows below and stitch together the following rows using ¼” seam allowances. Step 7: Construct your quilt back and quilt your quilt as desired. Step 8: Next, attach the quilt binding to the front of the quilted quilt top using mitered corners (if you need a tutorial go here https://www.simplesimonandco.com/2014/02/quilted-potholders-from-scraps-quilt-binding-tutorial.html/) and then hand stitch the binding on the quilt back. And then it’s time to grab a book, snuggle in and enjoy your quilt! This is darling! Thanks for the idea of doing a Christmas quilt for each child, I need to start now as I only have 5 grandchildren! I love this bright and cheery quilt. Thanks for sharing the tutorial.